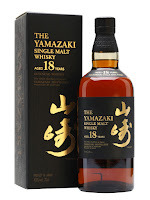 Back with some Yamazaki today. I ‘member back when the 12 was available in my local tesco for £40 and thought “Nah, it’s too much money.” Now they go for £100 at auction. 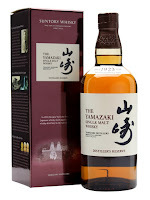 Japanese whisky has really blown up the last few years, partly thanks to this distillery. Of course, as demand went up and stocks went down, availability went down and price went up. Just the natural order of things, but doesn’t motivate me to actually fork out money on any of these. Luckily, I found all of these at bars. Nose: Very fresh, vanilla sweetness, lots of citrus- Lime, lemon, orange and grapefruit. Slightly floral, some Sherry, oriental spice, wood spice. Taste: Citrus, lots of lime, lemon, sweet orange, honey and sweet fruit. Building floral taste with some spicy oak, dry tannins, pressed flowers. Finish: Medium length. Sweeter and mouth watering with caramel and citrus. Nose: Very resinous, oily and quite floral. Herbal with sappy oak, obvious Sherry influence- Sticky sweetness with raisin, dates, prune, brown sugar, bourbon-eque honey and vanilla combo. The floral notes are very perfumed with lavender, beeswax and scented wax. Quite earthy wood, European oak spice and oriental spice. Taste: Immediately sweet and quite perfumed. Not really full, quite reserved and soft but sweet. Lots of Sherry, raisin, brown sugar. Oriental spice and raw wood in the development. Quite bitter and spiced into the finish. Finish: Long length. Bitter with perfumed flowers and coffee. Oriental spice creeps in after a bit. Maybe was too hyped up for me. At cask strength I think this would have been much better, feel like it's lost a bit being watered down. Nose: Quite rich, dark cherry, cherry stones, cocktail cherry, candied oak, candy floss, candy cane, spiced oak, a light resin note with sap and some moss. Taste: Rich and sweet. Sweet dark fruit and spicy oriental oak. Dark cherry, a little oily oak, a little damp moss, candy cane, white pepper and ginger (a little heat). Finish: Short length. Fades easily with spicy oak and a little heat (quite rye like). 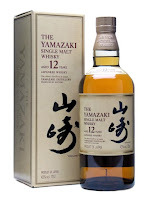 Mainly young whisky matured in ex-red wine casks, some older sherry and some Mizunara oak. I think a lot more of the younger stuff as the heat becomes more over time.